Eat your heart out, Katy Perry. Yup, I’m feeling pretty smug. Happy Hair Day! 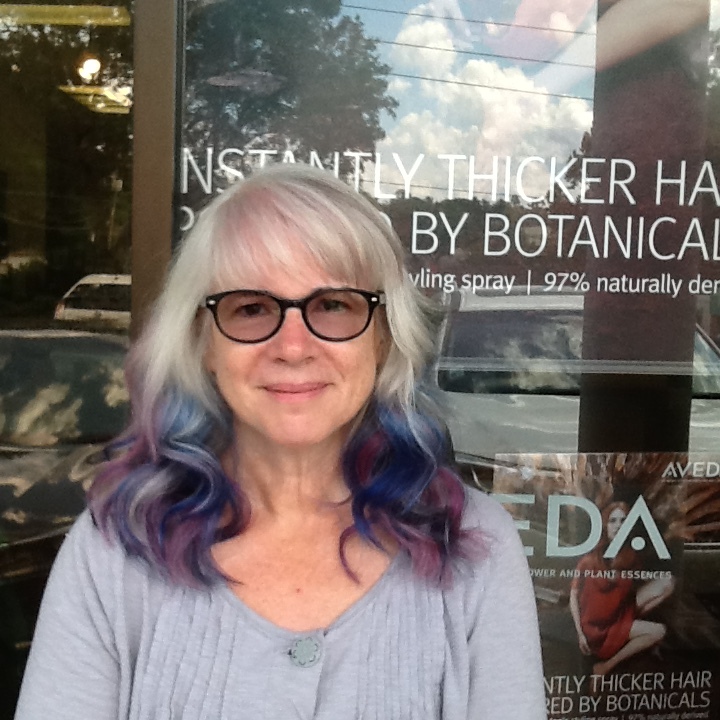 This entry was posted in Hair, Happy and tagged Athena Salon and Spa, blue and pink hair, dyed gray hair, gray hair, hair, hair everywhere, Katy Perry. Bookmark the permalink. You look great – I love it! LOL … that’s what my husband said too! I’m all ready for 4th of July 🙂 Thanks, Jill! Looks amazing! Love the way she blended the blue and burgundy. Katy Perry’s got nothing on you! Look at you, girl! You look fabulous! How long did it take to do it? Thanks, Luanne! The whole session (prep, color application, set, wash, trim and style) took 1 hour, 45 minutes. Just the color, maybe half that time, including 10-15 minutes for the color to set. What I really love about this is the color slowly fades away. I wash my hair only once a week (advantage of dry gray hair) so the color will last months. The blue may last even longer. Different colors react differently so it’ll be interesting to see how they fade (or don’t fade). So about the same time as my hair color. You could take the same pic at different points out so you can compare the fading. I used to color my hair red and it always faded SO fast, but I wish I had done that with the photos so I could actually document the changes because sometimes it felt like my imagination although it wasn’t. 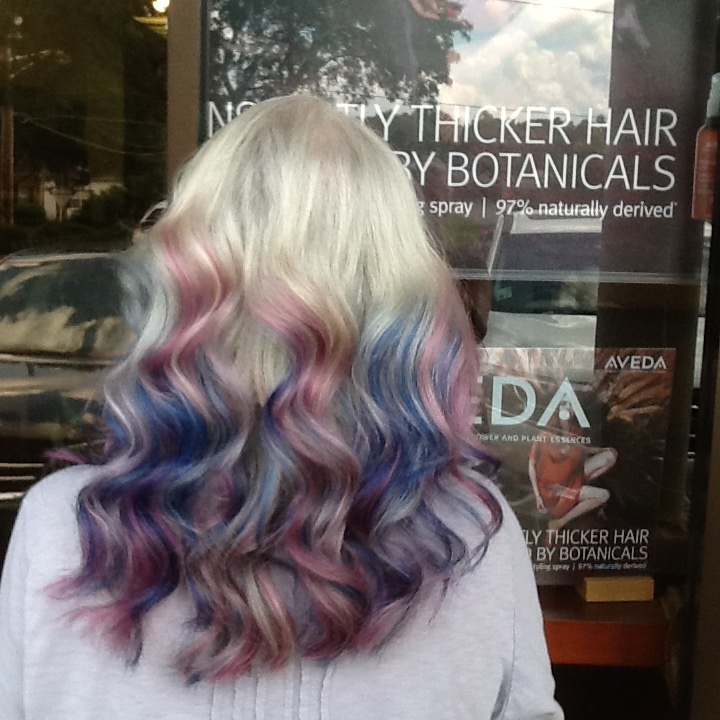 Marie And The Amazing Technicolor Dreamhair! 🌈 Love it! Looks great Marie, I love it! I like it. Gives you an disrtinctive look. I’m no stranger than the next guy. Sheesh! Oh Katy Perry is a pale imitation! This is beautiful. And your hair is so perfect for it. Permission to feel smug for the rest of week.